Nero Burning ROM & Nero Express 2018 19.1.1010 Portable ~ Apps2Portable | Free Portable Apps for PC ! 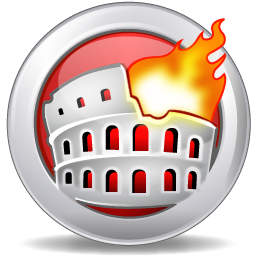 Nero Burning ROM 2018 is an award-winning software with leading high-quality CD, DVD and Blu-ray Disc burning and copying technology. It offers you the most advanced disc burning solution. Nero Burning ROM burns and copies CDs, DVDs and Blu-ray Discs with superb quality, and uses SecurDisc technology to ensure burned content remains readable, regardless of scratches, age or deterioration. Add advanced security options such as password and encryption protection to ensure secure storage and sharing of confidential information. The software gives you full, customized control of your burning projects. Preserve your photos, videos, music with the most established burning technology in the industry. Save time with Nero DiscSpan for splitting oversized files to the number of required discs in one go. Nero Burning ROM 2018 lets you even mix any media type – music, photos, videos or data – onto one disc. Easy to use and even easier to share, the robust burning solution comes with powerful security and customizable features that go beyond just burning. If you need to save your audio CDs and individual songs as files on your PC, smartphone or MP3 player, just convert them to the required format accurately and at lightning speed. Nero Burning ROM has it all: from MP3, MP3 PRO through AAC and FLAC to APE – including song titles and album details. Now original album art is integrated into the audio file thanks to built-in Gracenote technology, allowing you to easily browse your playlists and play your music in complete comfort. Would you like to share your movies and play your favorite songs in the car or living room too? Copy CDs, DVDs and Blu-ray Discs with quality and sound that are in no way inferior to the original. Audio CDs are also quickly reproduced – including CD text and original album details along with original album art. When it comes to security, you’ll be up there with the pros, as with the new SecurDisc 4.0 technology your files are in the best of hands. With industry-standard 256-bit encryption, digital signature and password protection, no one but you can access your burned data archive. And since Nero stands for durability and readability, even scratched discs will still be playable thanks to adjustable data redundancy.